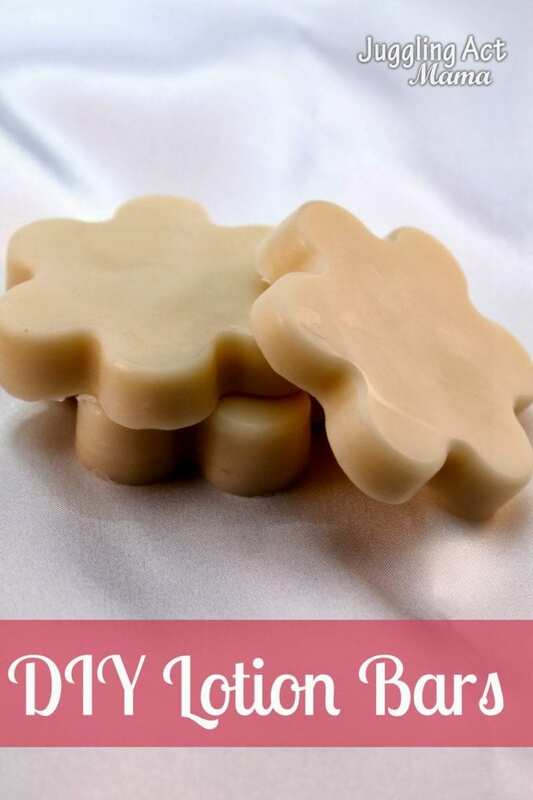 These lotion bars are an easy and inexpensive gift you can make for friends and family – perfect for the holidays, housewarming, birthdays or just because! I so enjoy making my own holiday gifts. It’s so much more meaningful to me as the “giver” to spend time hand crafting something especially for someone else. In a microwave safe bowl (or double boiler) melt beeswax. Once beeswax is melted, add in shea butter, coconut oil and vitamin E oil. Continue to heat on low until all butters and oils are melted. Pour the mixture into the silicon mold (I used this cute flower one (left). Let the mixture sit in the mold for 1-2 hours, until it is completely opaque. Carefully remove from molds. Wrap the bars in wax paper and tie with a pretty string or ribbon if you like. Just wanted to let you know that I’m including this in a mother’s day roundup with a link back. Oh these look just like the ones from LUSH! I really want to try this for my husband’s Christmas stocking!